For the hard of hearing it can be incredibly difficult to hear an alarm system sounding, which removes any safety benefit it may have. Because of this, it's vital that they have any extra technology at their disposal to help them where they need it. A great addition to any Lisa alert system, the Lisa Alert System TX Alarm Direct Transmitter provides a fantastic solution to this key issue for the hard of hearing as a part of a wider alert system. 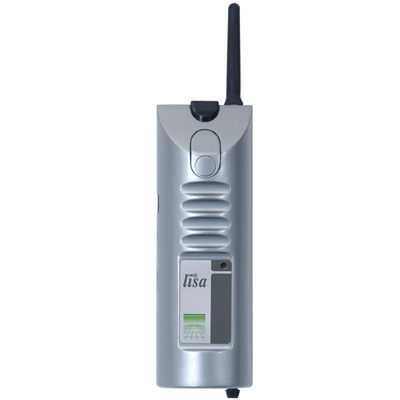 However, if you're not comfortable directly wiring the transmitter into your alarm system or simply can't, the Lisa Alert System TX Alarm Acoustic Transmitter is a great alternative. Any and all Lisa alert system receivers in range are alerted by the transmitter, and thanks to the configuration of Lisa receivers, the tone or pattern for this event is unique. This enables you to know right away what exactly needs your attention. And because it uses the Lisa system, you can extend your setup to include a range of different transmitters and receivers. Check out our full Lisa alert range for more. Please note: this listing is for a Lisa transmitter only and does not include the Lisa receiver required for the system to function.